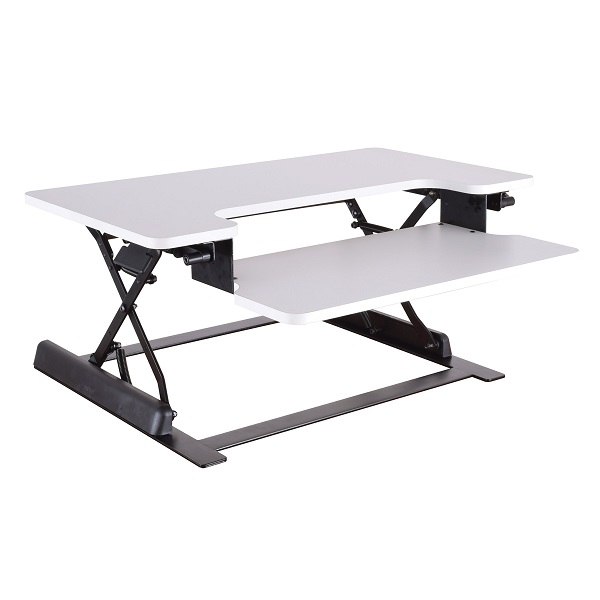 It’s easy to create a standing workstation out of your current desk surface with this standing desk converter. Quickly move from sitting to standing in no time with the spring assisted lift featuring 10 positions over a 12” height adjustment range to find your comfort zone. The handy keyboard tray provides easy access to all the tools you need to get the job done. 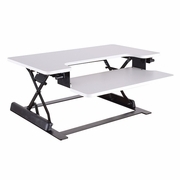 Arriving fully assembled this desk add on makes it simple to access the latest stand up desk technology. Elevate your workspace with the Prado Multiposition Desk Riser.